Specially designed to support BYOD and mobility management, SCM Compact’s mobile app, WE VoIP, featuring Smart Routing, Easy Call Move and Smart Handover eliminates common communications hassles that frustrate employees. Calls can be transferred seamlessly between desk phones and mobile phones over a Wi-Fi or cellular network while ensuring crystal clear voice quality. Smart routing makes sure your customers can reach you even when you are not at your desk. The SCM Compact solution comes with a suite of embedded of applications, including ACD application for Contact Center, Automated attendant, Call recording, Meet me voice conferencing, Video calling and Premium caller ID (for intercom calls). Robust built-in APIs including SIP, CSTA, JTAPI and TAPI enable you to integrate with the third-party applications. 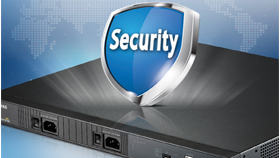 With a built-in SBC in the server, the SCM Compact offers enterprise-class security to your mobility implementation. SIP signaling and media can be transferred from the internal private network to the external public network. UDP, TCP, and TLS transports are all supported, with support for conversion transfer. SIP signaling and media can be transferred for SIP entities under Network Address Translations (NAT) to the external network. This gives employees protected access to the corporate network and UC collaboration tools anytime, anywhere, helping to maximize employee productivity and operational efficiency. 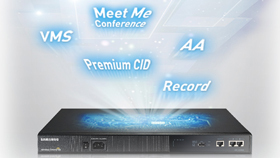 SCM Compact is tightly coupled with the Samsung media gateway solution that can be either embedded on the same platform or deployed as a standalone branch office solution. The combined solution supports a range of on-board analog FXS/ FXO and digital PRI interfaces that can be further scaled and expanded to branch offices with expansion slots. The solution offers complete flexibility to repurpose the VoIP gateway platform to perform the IP-PBX function without requiring additional hardware or licenses – a unique capability to protect your investment. The SCM Compact is equipped with a Gigabit Ethernet port and hot swap optional cards to meet your current and future bandwidth needs as well as keep your organization running 24/7/365 without service outages and system shutdowns. 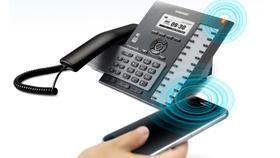 In case of disasters, the Samsung WE VoIP Mobile UC application provides additional resiliency by enabling users to stay connected to the corporate communication network via any public Wi-Fi or cellular network. SCM Compact scales up to 512 SIP lines and SCM Express can be easily added to increase this amount. 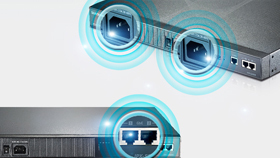 SCM Compact can be converted to a G500 Gateway and connected to the SCM Express to provide investment protection of the system. 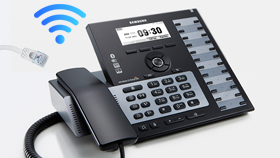 The platform is supported by the extensive lineup of Samsung’s wired and Wi-Fi-/Bluetooth-enabled IP phones. Both the SMT-i5000 series IP Phones and the new SMT-i6000 series IP phones can be remotely configured and managed from SCM Compact.